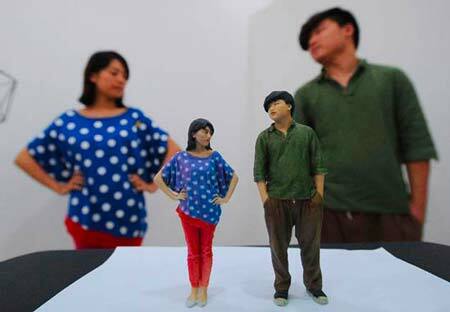 What are 3D printed figurines or 3D selfies, also known as “mini-me” and 3D portraits? How to start a 3D selfie business or 3D figurine business? 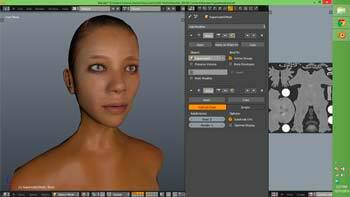 How to make your own custom avatar with 3D scanning? 3D scanning to capture in 3D and in color the body or face of the subject, with a 3D scanner or body scanner. The 3D file obtained can then be used to launch a 3D print, at home or through a 3D printing service (local or online). 3D printing the figurine or bust on a full-color 3D printer. Some professional-grade 3D printers are capable of 3D printing in multicolor, in material such as sandstone or paper for example. The result: a photorealistic miniature 3D printed statue of the person, in vibrant color and with a high level of details. If you’re willing to start a 3D selfie business or 3D figurine business, we strongly recommend to look into 3D scanning booths specifically designed for 3D figurines and 3D selfie production. Integrated systems include all you need to get started and do not require to invest hundreds of thousands of dollars in advanced industrial equipment. Interested to know more? Simply send us a message with some details about your project and contact information, and we’ll get back to you with a recommendation. 3D printed figurines are great gifts for life events, such as weddings, graduations or birthdays. They make for a great alternative to traditional photos. In the case of a wedding, it is possible to create a 3D printed miniature figurine of the groom and the bride and use it as wedding cake topper. Several size options are available for 3D figurines or 3D portraits, from a few centimeters to almost life size, as offered by the Chinese company Pinla 3D (the website is only available in Chinese). The price will increase with the size of the 3D printed statue. A personal 3D figurine made by 3D You. Personalized 3D printed mini me by 3D2GO. Wait for your 3D printed figurine to be printed and delivered! If you are already a 3D scanning and 3D printing advanced user, you can also make your own action figure from scratch following this tutorial. Last but not least, for animal lovers there are even companies specialized in pet 3D scanning and pet 3D printing. 3Dpetshop in Japan offers a unique procedure to get a 3D printed miniature version of your loved pet companion. Do you want to start your 3D selfie business? 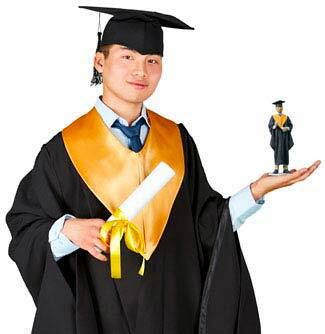 Or simply 3D print a miniature version of yourself? Then you will need to find the right 3D printer and 3D scanner to create and print your 3D figurines. For the 3D printer, an important requirement is the capacity to 3D print in full-color (multicolor 3D printing) with a high print resolution. 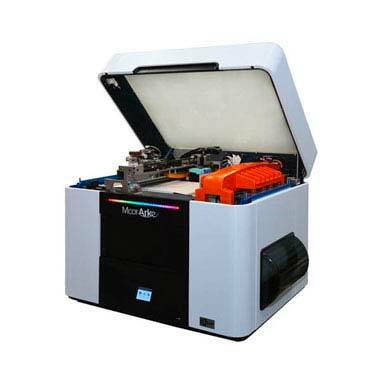 Only a few models of 3D printers currently offer full-color 3D printing, and they are usually expensive. Here is a selection of the best multicolor 3D printers for 3D selfies and 3D printing miniature figurines. Important: please note that to this day, only the 3D Systems Projet 660 and 860 are suited for commercial use to 3D print 3D figurine. Indeed, other full-color 3D printers mentioned here, while they can provide decent quality prints, are not yet suitable for running a professional 3D figurine business. The Projet 660 is the model chosen by almost all 3D figurines companies as it is a reliable and powerful industrial 3D printer, which can consistently deliver high-quality prints requiring minimal post-processing. Integrated solutions such as Twindom or Shapify also rely on 3D printing services using the Projet 660 for the 3D printing part of the creation process for their 3D figurines. High-definition prints: the high resolution of the CJP Projet 660 pro (600 x 540 dpi) make this 3D printer a go-to 3D printer for companies serious about full color 3D printing, especially 3D selfies and 3D figurines businesses. Industry reference: the Projet 660 is the professional 3D printer of choice for many 3D printing services offering color 3D printing to their customers. Even Shapify, the all-in-one 3D figurine system from Artec (see below) relies on this beast for the 3D printing part of its system. Large print volume: the 3D Systems Projet 660pro has a build chamber measuring 25.4 x 8 x 20 cm, probably the largest print volume of all full-color 3D printers. Something to take into account if you intend to 3D print large 3D figurines or portraits. Note: full-color 3D printers are different than dual extruders 3D printers (or multi-extruders 3D printers), which can print in two, three or four colors but do not offer actual full-color 3D printing. The ProJet 660 Pro 3D printer by 3D Systems. Low-cost: the use of regular paper, a very common material, allows the Mcor ARKe to produce affordable full-color prints. Compared to other technologies or printers requiring proprietary print materials, this paper-based economical approach could be the difference between a profitable and money-losing 3D selfie business. Full-color 3D printing: the ARKe is the only desktop 3D printer which can print professional-quality objects in photorealistic colors. The ARKe even matches the standards of the the ICC (International Colour Consortium) to create stunning photorealistics prints with vibrant colors. 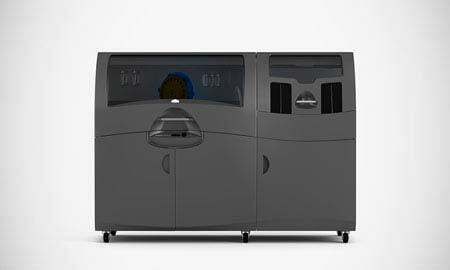 Eco-friendly: by using paper instead of, say, fused plastic filament, the ARKe does not emit toxic fumes and particles, making it a safe and eco-friendly 3D printer. This is important especially if you intend to operate the 3D printer in a store where you will spend a lot of time and customers will visit. Note: while the Mcor technology does allow to 3D print figurines or selfies, the quality of 3D figurines are not quite as good as with the Projet 660. The Mcor ARKe is not yet available (Feb 2017) but it will certainly not be the best fit for professional full-color 3D printing. The ARKe 3D printer by Mcor. In order to print a 3D selfie (or a 3D statue or mini-me 3D figurine), you first need to capture in 3D and in color the face or body of your subject using a 3D scanner. There are several types of 3D scanners suitable for face 3D scanning or full body 3D scanning but in the end, only a handful of 3D scanners can be used for professional applications. In every case, we strongly recommend tu use a 3D scanning booth designed for 3D figurines such as Twindom, as these systems are optimized for 3D capture of persons and include a high-quality, full color 3D printing solution. Full body 3D scanners and 3D scanning booths are part of a booming category, but only a few 3D scanning booths are suitable for 3D printing figurines or “mini-me” applications. They almost always come as part of an integrated solution designed for 3D entrepreneurs, including a 3D scanning and 3D printing solution. The 3D models obtained is sent to a local 3D printing service able to 3D print in full color the desired figurine and then shipped to the end customer. Note: several of the 3D body scanning systems currently on the market are designed for medical or fitness applications, hence not suitable for a 3D selfie or 3D printed figurines business where capturing textures and colors in high resolution is paramount. Twindom is a company based in California specialized in systems for 3D printed figurines businesses. Their main product is the Twinstant Mobile, a full body 3D scanner which can capture in 3D a person or a up to 4 person at once, to obtain a detailed 3D model. The 3D model can then be printed in color though Twindom fulfillment service (a global network of 3D printing services able to 3D print in full color the miniature statues). 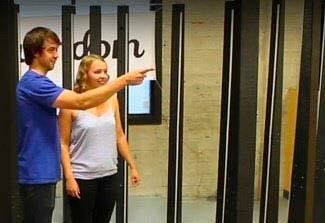 The Twindom 3D body scanner solution is sold as a package with a monthly subscription giving access to the Twindom Cloud Platform, the online interface through which business owners can monitor their activity and manage 3D scans and 3D prints. Overall, Twindom offers is definitely the most integrated solution if you are interested in launching a 3D printed figurine business, as it provides a turnkey solution that allows you to get started with no specialized knowledge about 3D printing or 3D scanning. While there have been no official numbers published, Twindom is thought to have the most customers out of all of the 3D scanning solutions we’ve covered for 3D printed figurines with customers in 13+ countries. 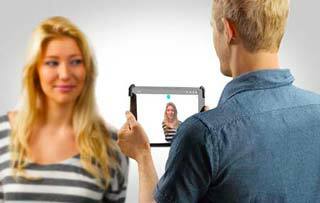 The Twinstant Mobile 3D body scanner by Twindom. Shapify is another all-in-one solution for 3D printing figurines, including a full body 3D scanner and an optional 3D printing fulfillment solution. Shapify was launched in 2014 and advertised as the perfect solution to launch a 3D printed figurine business. The Shapify 3D scanning booth is made by Artec and based on the Artec Eva 3D scanner. The system includes a 3D body scanner (a booth rigged with 3D scanners) and a 3D printing option. The 3D scan of the subject can be sent to a remote 3D printing service where the final product, the 3D printed figurine, will be printed on a Projet 660 color 3D printer. 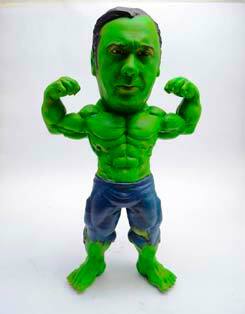 Business owners can also choose to 3D print themselves the 3D models obtained with the 3D scanning booth. 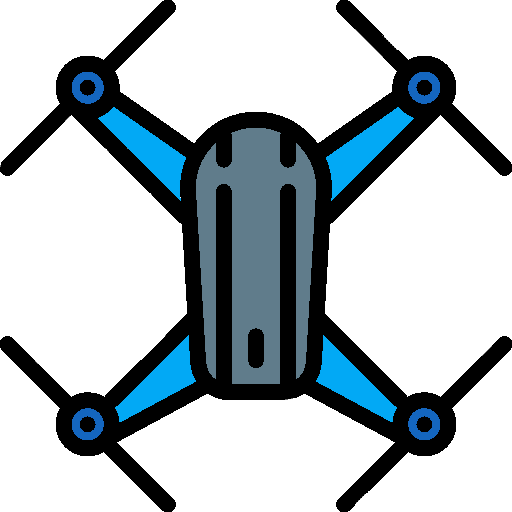 We don’t have any actual feedback form Shapify business owners or customers, and this product does not seem to a priority on Artec roadmap for future development. The Artec Shapify 3D scanning booth. Important: handheld 3D scanners technically have the capacity to capture a full person in 3D, but they require the subject to stand still throughout the 3D scanning process (2-3 minutes). While this sounds ok for most people, it is not the case if you want to get a 3D figurines of your kids or pets! Indeed, if the person moves during the 3D capture phase the 3D model generated will be unusable. 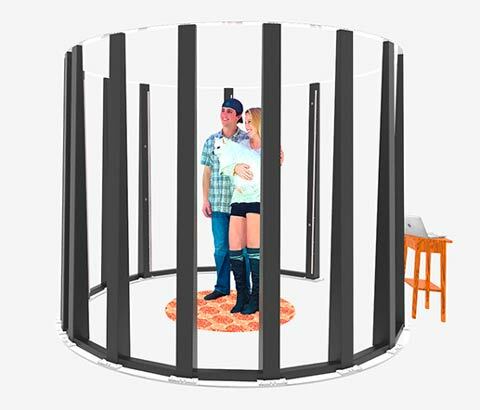 Therefore, most 3D selfie businesses do not use portable 3D scanners but a 3D scanning booth, such as Twindom (see above). 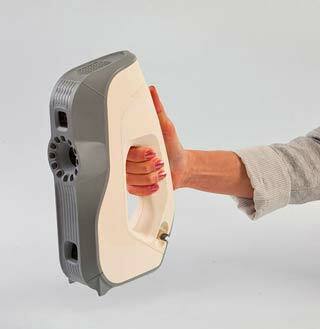 The Artec Eva is a reference among professional-grade portable 3D scanners. This powerful and versatile handheld 3D scanner allows you to capture in 3D objects of various sizes, with accurate textures and colors. It is a good fit for body scanning and face scanning applications: the operator can simply walk around the subject while holding the 3D scanner to capture a highly accurate 3D model, almost instantly. Powerful software: the Artec Eva comes with Artec Studio 11, the latest version of the well-designed 3D capture software developed and improved over the years by Artec. The software is a key element of the 3D scanning system and in that area, Artec has a clear advantage versus the competition. Easy to use, fast and full of useful functionalities, Artec Studio 11 will make your 3D scanning experience a breeze. Reliable 3D scanning: Artec is an established 3D scanner manufacturer which has been in business since 2007. The company has a solid background and incorporated feedback from its users to improve the Artec Eva and its software, making it one of the most reliable handheld 3D scanner available today. The Artec Eva 3D scanner by Artec. Thor3D is a newcomer in the world of 3D scanners. Founded in 2015 by a co-founder of Artec, this Russian manufacturer launched in 2016 its first model: a fully wireless 3D scanner, the Thor. This handheld 3D scanner is advertised as capable of 3D capturing human models or body parts, in full-color, making it a potential option for 3D selfies or 3D printed figurines companies. That said, a year after the initial product launch, the Thor is still not readily available and its actual performance remains widely unknown. The brand made an announcement in January 2017 targeting the fast-growing 3D selfie market segment with a special discount as part of a bundle offer with the 3DPandoras 3D printer (see above). But both brands lack experience in this demanding sector. The Thor 3D scanner by Thor3D. To obtain a photorealistic 3D figurine or 3D selfie, we strongly recommend to work with a qualified professional service. These 3D figurines services often use the integrated 3D scanning booths solutions such as Twindom. In this case, the service provider takes care of the 3D capture part of the process, scanning in three dimensions the person(s) using a 3D scanning cabin. The 3D file obtained is then sent to an external provider of 3D printing services, specialized in full-color 3D printing and equipped with the best 3D printers for 3D figurines on the market (most often, the Projet 660 by 3D Systems). Free 3D scanning mobile apps such as 123D Catch, which can turn a smartphone into a portable 3D scanner. 3D scanning someone usually requires around 20 photos for a full body scan in color. An affordable 3D scanner can be good option to produce decent quality 3D scans of people. It only requires someone else to perform the 3D scan. 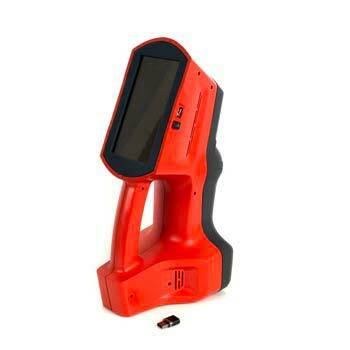 A professional handheld 3D scanner, capable of capturing an object (or a person) in full-color and with textures. 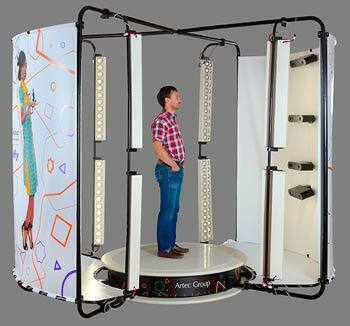 A 3D scanning booth or full body scanner, the ideal solution to obtain a detailed 3D scan of a person’s body. 3D body scanners are typically used by companies offering 3D printed figurines services. For more information, please see below our section on the Best 3D scanners for 3D printed figurines. Once you’ve obtained a 3D scan of yourself (full body or face), you can import this 3D file in a CAD software (a 3D modeling software). In order to customize the 3D design, a 3D software like Blender for example can be an affordable option: you can then modify the shape, textures and even to add accessories to your original 3D scan. Your imagination – and 3D design skills! – are the limit! Only a handful of 3D printing technologies can produce full-color, photorealistic 3D prints with a professional quality. A powder material (sandstone, gypsum…) is sintered or melted by an energy source (laser), then a binding agent can be applied to form the object layer by layer. Each layer is colored when it’s being solidified. The main advantages of this technology are the large build size capacity of the 3D printers and the ability to produce photorealistic 3D portraits and figurines, with vibrant colors and a high-quality look and feel. However, the 3D printing material (powders) and the machines themselves are quite expensive. This approach, developed by the Irish 3D printer manufacturer Mcor, uses regular paper as consumable. The 3D printing process is derived from the lamination technique. First, the sheets of paper are printed and colored with regular inkjet heads. The sheets of paper are then fed into the 3D printer to be cut and glued together, to form a colored 3D object. The main benefit of paper 3D printing is its affordability, since paper is a lot cheaper than other 3D printing materials (filaments, powders or resins). Downsides of this technology are the maximum build size and tricky post processing when working with 3D models that have complex geometry.